My name is Manuel Krauss and I was born in Gladbeck, Germany. 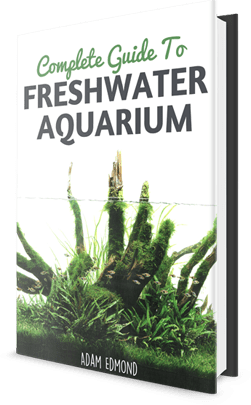 I am a German aquascaper and since 2012, I have been demonstrating live shows and workshops about aquascaping. I am the owner of my own company, ADM (Aqua-Design-Manuel). With my team, I have won some titles and championships at ADWG contests. I started aquascaping in 2007. After learning the way to design tanks in different layouts, I wanted to continue. I studied different masters and styles and became more of a teacher. I am on tour in the Netherlands and Belgium with one mission: to bring aquascaping to people everywhere. I worked briefly in a pet shop and found that water changes can be difficult as well as finding the right parameters for the water. I think the hardest part about starting out is learning all of the ways in which to care for fish on your own. I like all styles and my favorite is the tree style. 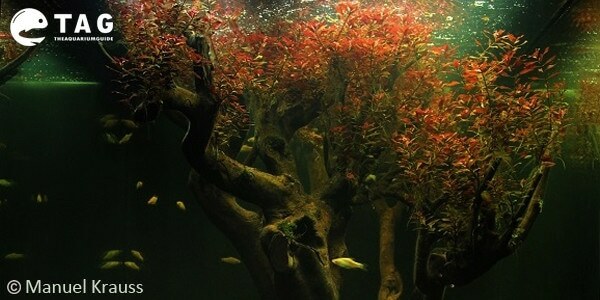 I love to scape underwater trees and tree landscapes. 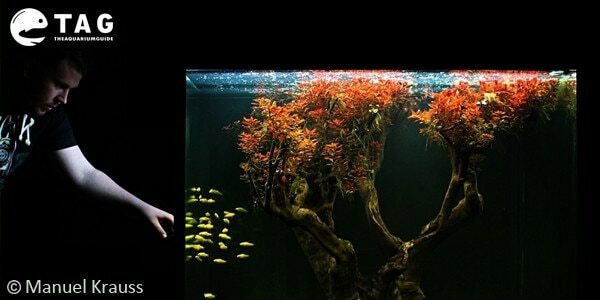 The underwater tree is the best eye-catcher, but I have my own style and create new styles daily. I get the inspiration for my aquascapes in the nature and from my own imagination. 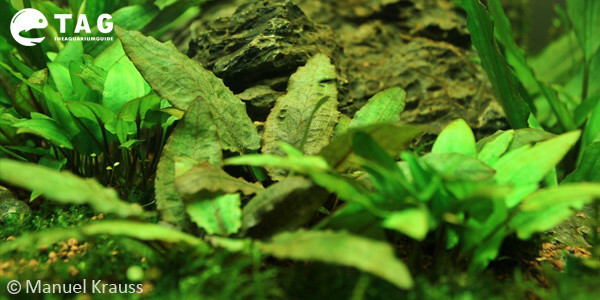 What is your favorite species of aquatic plant? My favorite plants are Lagenandra meeboldii, all aquatic moss, and plants I can glue on stones and roots with my own glue. I have many new projects and every six months I create a new layout in each of my tanks. I use CO2 and some fertilizer for good growing plants. In Germany, I think aquascaping has become a new trend. 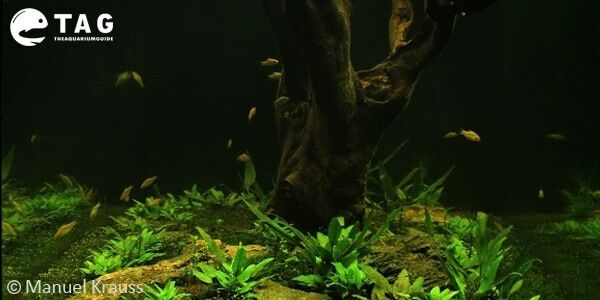 What advice would you give to newcomers who are interested in starting aquascaping? You can learn the basic knowledge, but you must have some talent and dedication. Please share with us your website etc. and how you can be contacted? My business page is www.adm-scaping.com and I am active on social media with two pages on Facebook (Manuel Krauß & ADM Aqua Design) and a YouTube account, too.